As Memorial Day approaches, it’s noteworthy the the first halves of the Kernels, Miracle and Lookouts seasons are coming to an end. Soon, we’ll hear which players are going to play in the All Star game. Often, that milestone also means that it is promotion time for some of the prospects. Today, I’ll mention six Twins minor leaguers that I think are ready for the next level. I believe that the below six players are ready for the next challenge in their careers and on the ladder up the Twins minor league system. Check out my list of a half-dozen players, and then add others that you would like to see promoted. Trevor May will likely be back in a Minnesota Twins uniform, and Ervin Santana isn’t too far behind him. Those two MLB veterans are returning to a starting rotation that is already full. Stephen Gonsalves and Zack Littell are also in the Rochester rotation and, especially Gonsalves, appear close to big-league ready. Slegers isn’t the big prospect. He was a fifth-round pick and basically moved up one level each year. All the while, he put up good numbers. But Slegers is a legit MLB prospect. He can pitch in the big leagues, and frankly, he’s got little left to prove in AAA. Over his first eight starts in 2018, he is 5-1 with a 1.97 ERA. That is after going 15-4 with a 3.40 ERA in 2017 with the Red Wings. If an organization has a pitcher like Slegers in AAA providing depth, that organization is pretty solid. Yes, he’s been on the 7-day disabled list for a week now with a shoulder injury, but if not for that, he might have joined Nick Gordon on the trip up to Rochester. Wade had a solid 2017 in Chattanooga when he hit .292/.397/.408 (.805) with 22 doubles and seven home runs. As he has done at every level, he walked more than he struck out. It’s that plate discipline and approach that make me think he might even be ready to move up to the big leagues if needed. For whatever reason, he was returned to the Lookouts to start 2018. Maybe it was to work on something, possibly adding more home run power to his game. If that’s the case, well, he’s already got six home runs this year. There’s little doubt in my mind that Wade is ready for Triple A, if not the big leagues. Van Steensel signed with the Twins a long time ago. Way back in 2011, to be exact. He was a starting pitcher at that time and was released after the Elizabethton season. Fast-forward to 2014, and the Twins brought Van Steensel back, this time as a reliever. Ever since then, he has been one of the best relievers in the Twins system. For whatever reason, he has not been promoted quickly. He posted a 2.62 ERA over 101 games in Ft. Myers (157 strikeouts in 144 1/3 innings). He pitched in Chattanooga last year and posted a 1.38 ERA with 59 strikeouts in 58 2/3 innings. Yet he finds himself back with the Lookouts again this year. He’s got 28 strikeouts in 25 2/3 innings, but he also has just seven walks. If anything was holding him back in the past, he was some control issues. If that’s a thing of the past, Van Steensel deserves to move up. The Twins drafted Davis late in the 2015 draft. He was hurt, so his playing career didn’t start until the Elizabethton season started in 2016. He hit 16 home runs in 64 the rest of that season (between E-Town and Cedar Rapids). He hit 15 homers in 2017, splitting the season between Cedar Rapids and Ft. Myers. He’s hit for power, but he’s also swung and missed a lot. So far in 2018, Davis has cut down on his strikeout rate while increasing his walk rate. He’s hitting .285/.385/.431 (.806) with the Miracle. He may be in line for another midseason promotion. Vasquez was another late-round pick in 2015 (32nd round) out of Division III Westmont College. He split 2017 between Cedar Rapids and Ft. Myers, and ended the year with a strong performance in the Arizona Fall League. After 23 games in Ft. Myers in 2017, he began there again in 2018. He spent a few days in Chattanooga, but he’s ready to be sent there full-time. In a combined 15 games (14 with the Miracle), he’s posted a 0.68 ERA. In 25 2/3 innings, he’s struck out 28 and walked just seven (something he struggled with in the past). He’s got a good fastball, but his slider can be a wipe-out pitch, and he should soon be making the move to Double-A permanently. While Royce Lewis has garnered a lot of the headlines, and deservedly so, Alex Kirilloff has provided the Kernels with average, extra base power, and he’s driven in a ton of runs. After missing all of 2017 due to Tommy John surgery, it didn’t take Kirilloff long to get rolling in 2018. He is currently hitting .325/.373/.584 (.957) with 13 doubles, seven home runs and 35 RBI. He’s played well in the outfield and notes that his arm is feeling strong. I would expect Kirilloff, along with Lewis, to move up to Ft. Myers at or around the All-Star break. 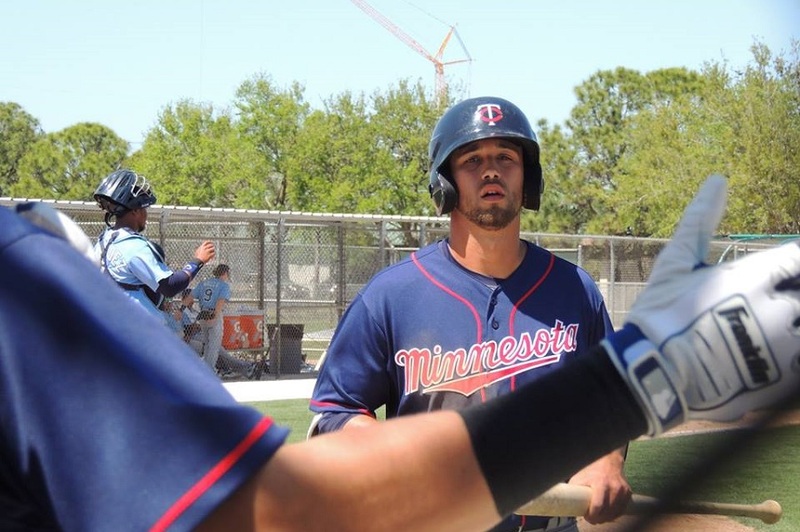 So there are six Twins minor leaguers who are making a strong case for promotion. Certainly, there are others who are deserving as well for performance or other reasons. Great write up as usual Seth. I'd like to think that your spot on with most of those observations, with the exception of the AAA to MLB jumps. With those, I.E. Gonsalves/Slegers, I look at the them and what they've done and I think they deserve the chance, but... then I look at the Twins current roster and I draw a complete blank. I like this report.Slegers is interesting because his trial in MLB did not go well and I suspect a lot of people see him as AAAA.I wonder how he will get a chance.A trade? I would like to add Gordon to MLB, but I am not understanding the FO approach.Same with Gonsalves.During ST I was hoping Wade would be the number four OF, but I imagine his injury has set him back.I would like to see him before LaMarre and Cave return. Kiriloff is the most exciting because I questioned his prospect rating stating that he had to prove that he had recovered and not lost anything. I now have to say - he has done the proving. I am curious about Lewis' promotion schedule and disappointed in Rooker's slow start because I really wanted him to be on the quick track. Totally agree on these six, especially Kiriloff's promotion being due as his numbers, especially the power numbers, are much better than Royce Lewis'. OF used to be an area of depth in our system, but we are finding out how quickly things can change. Backups are pretty mediocre now and with Grossman not hitting, we could use some reinforcements. I too, was hoping Rooker would be on the fast track, but he hasn't established much yet to be excited about. I think and hope Buxton is about to find himself, but how much longer do we allow him to take ABs and hit south of .170? He normally comes around in June and I think he will again, but I would really like to see Wade promoted at least to AAA and then to the majors if we lose one of our top 3 OF to injury. The lineup in Rochester is quite inept and I'm sure the pitchers would love to see some offense. I have never understood the issue with Van Steensel. Dude is 27. Ya'll realize that Rooker was in college one year ago and he's got six homers in Double-A already, right? That about as fast track as it gets. As for Slegsrs, he's ready for the promotion. Doesn't mean there's a spot right now. Unfortunate for him, but says a lot about the Twins starting pitching depth. Also, I'm not ready for LaMonte Wade to be a fourth outfielder. Too young. Too talented. Granite, Cave and LaMarre are fine in that role. When would he ever be more on this roster? I'd rather he play about half the time, giving every OF a rest, or letting one of them DH occasionally. It's not like there is a good DH option? DH whichever of Kepler or Rosario you want to rest, and play Wade at a corner that day. I like that much more than Grossman. I think he's much more talented than them and has a higher upside but at the same time, I'd rather have those guys in that role because they just don't have that much upside left whereas Wade could benefit from playing everyday still. Yes, Yes, Yes, Yes, Yes and Yes. I agree with all 6 suggestions with the one problem of where do you put Slegers if you bring him up? I know some are arguing for Gonsalves but I like him getting a little more seasoning in AAA first. But yeah, he's close too. Just because a guy may be ready doesn't mean there's a spot for him when it comes to MLB. Tough break for Slegers, who isn't going to get a chance absent additional injury. I do wonder if a guy goes down before Santana or May are ready (of if a couple of guys get wiped out after) if Gonsalves or Slegers gets the call. Kirilloff is exciting right now. He seems to have bounced back wonderfully from the surgery and is hitting the cover off the ball. It'd be crazy if he doesn't get promoted to FM at the break. Can't wait to see how he does when he gets there. And a dog has 5 legs, if you call its tail a leg. Unless you let Abraham Lincoln have his say. Slegers has shown zero evidence that he can pitch in the bigs.6.46 ERA, 5.70 FIP, 5.3 K/9, and 1.5 K/BB do not belong in a major league rotation in a competitive team.Maybe he can pitch for Miami.At this point he is behind the 5 men already in the rotation, plus May, Santana, and Mejia.I just don't see it. And if you look at his miinor league numbers his AAA K/9 dropped from 7.2 last season to 5.2 this season, and his FIP and xFIP increased by 0.2 and 0.5 respectively. so a guy who can’t field and can’t hit is on the team why? I agree, but there would be room if Buxton were to go to Rochester for a confidence boost. This team could use Wade's on-base skills at in the bottom 1/3 of the line up. Going Buxton-Adrianza-Wilson will kill any kind of extended rally. My opinion on Slegers has been that he is a borderline MLB 5th starter. His strikeout numbers just aren't good enough to be a reliable guy in the rotation, though I do think last year's sample size was small and he would be able to improve from it (much like other Twins rookie starters have). Perhaps his ideal role will be as a long reliever, which isn't exciting or currently needed, but I think that's what he projects as. I wouldn't consider DFA'ing him at this juncture. Bingo. If anything, after Gonsalves, Littell deserves more consideration as depth SP before Slegers. Slegers' promotion chances took a gut punch this afternoon. I'm ready for Wade to start pushing Buxton. Byron Buxton can't hit a slider or layoff high fastballs is getting really old. About time Buxton started to turn the corner at the plate. I'm ready for Wade to start pushing Buxton. Byron Buxton Stinky can't hit a slider or layoff high fastballs is getting really old. About time Buxton started to turn the corner at the plate. Agreed. He is extraordinary defensively but if Buxton keeps proving he can't be a serviceable big league hitter I think that leaves the door open if Wade takes advantage of an opportunity/opening in the next few years. If Wade proves himself in the next few years and Buxton never gets it going it isn't out of the realm of possibility that Buxton soon becomes a 4th outfielder or gets sent packing. Too much talent coming up in the outfield between Kiriloff and Wade for Buxton to keep stumbling over the next year or two. i think Wade needs more time to develop his bat. We don’t know how often he is getting a pitch he should barrel up and instead he misses it hitting a foul ball or puts it in play to weak contact. With his large number of walks, he must be seeing lots of pitches and should have more opportunities to get a good pitch to hit. With all of those walks must be plenty of counts in his favor and pitchers needing to throw him a good pitch. How often is he getting those good pitches and not taking advantage or recognizing them? How often does he end up with a walk when somewhere earlier in the count he should have barreled up a pitch? We don’t know. The Twins staff should know. There should always be a at least a caution flag up when you see a player with a lot of walks and little power in the minors. Still a little confused why Gordon and Wade were at AA to begin the season, but like to believe it was for a reason; defense, increased power production, etc. Too bad Wade is hurt. But still have a hard time promoting him straight to the ML unless he is going to play daily. Even with his struggles, would Wade really supplant Buxton at this time? Question for Seth, or anyone, we've heard for some time now that Navarreto has power potential and defensive chops to play in MLB NOW. This is the first season we've actually seen the bat show a little life. Should we actually be encouraged?